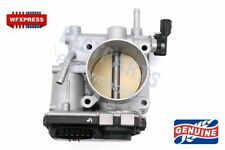 GENUINE Throttle Body Assem For Subaru Impreza Legacy Outback W/O Turbo Forester16112AA180 16112AA010 TH01. 2011 Subaru Impreza Outback Sport Wagon 4-Door 2.5L 2458CC H4 GAS SOHC Naturally Aspirated. 2011 Subaru Impreza 2.5i Premium Sedan 4-Door 2.5L 2458CC H4 GAS SOHC Naturally Aspirated. Up for sale is a Subaru Impreza Wrx Sti DBW (Drive by Wire/electronic) oem throttle body that has been port and polished on both sides! May be used on custom builds. 02-05 Subaru Impreza WRX Oem Throttle Gas Acceleration Cable Turbo Please look at pictures for throttle box damage It's just one of the 4 clips that holds the cable in the box is broken but it's still holds in great. Does not effect anything. 2008-2014 SUBARU IMPREZA WRX STI OEM GAS, CLUTCH AND BRAKE PEDALS. 2004-2006 SUBARU IMPREZA WRX STI OEM ACCELERATOR, CLUTCH AND BRAKE PEDALS. OEM TGV DELETE. Tuning is required . EJ205 THROTTLE BODY SETUP FOR ROTATE INTAKE MANIFOLD. 2007 SUBARU IMPREZA WRX STI OEM ACCELERATOR, CLUTCH AND BRAKE PEDALS. Up for sale is a set of SideFeed port and polished TGV deletes, sealed up and ready to go onto your Subaru 04-06 STi model. These have not been installed since the pnp job! If you need it for your 05-06 legacy gt put it in the notes section. Up for sale is this Subaru factory OEM EJ205 WRX Camshaft (Left intake). 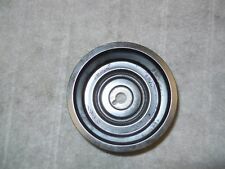 This used cam was removed from 2002-2003 Impreza WRX model. Online research says this unit will fit all 2002-2005 Impreza WRX models with 2.0L turbo engine. Up for sale is this Subaru factory OEM throttle body assembly with a Subaru part number of 16112AA370. This unit was removed from 2012 STI model. Online research says this unit will fit 2008-18 Impreza STI models. 06-07 Subaru Impreza WRX Throttle Body / Intercooler coupler. Removed from a 07 Subaru Impreza WRX, 2.5L Turbo, MT w/ 139k Miles. Up for sale is this Subaru factory OEM Intake manifold with a Subaru P/N 14001AB391. One of the solenoids on the bottom of the unit needs to be replaced (see pictures). This unit was removed from 2002 Impreza RS model. 2015-2018 SUBARU IMPREZA WRX OEM FA20 LEFT AND RIGHT TGV TUMBLERS. Up for sale is this Subaru factory OEM Intake manifold with a Subaru P/N 14001AB541. This unit was removed from 2004 Impreza RS model. Online research says this unit will fit all 2004 Impreza TS,RS AND OUTBACK models with 2.5L engine. Up for sale is a set of TopFeed port and polished TGV deletes, end holes sealed up and ready to go onto your Subaru 02-07 WRX. These have not been installed since the pnp job! keep in mind tuning is required. 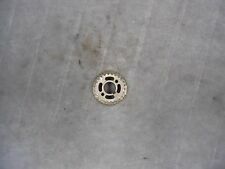 Genuine OEM Air Intake Throtlte Body Valve. Up for sale is this Subaru factory OEM Left (Drivers Side) Fuel Injector Rail. This unit was removed from 2002 Impreza WRX model. Online research says this unit will fit all 2002-2003 Impreza WRX models with 2.0L turbo engine. Subaru Impreza wrx sti 2002-2005. 2005 Subaru Impreza Outback Sport Wagon 4-Door 2.5L 2458CC H4 GAS SOHC Naturally Aspirated. 2005 Subaru Impreza RS Sedan 4-Door 2.5L 2458CC H4 GAS SOHC Naturally Aspirated. 2004-2007 SUBARU IMPREZA WRX STI OEM CLUTCH AND BRAKE PEDALS. 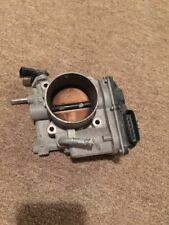 2015-2018 SUBARU IMPREZA WRX OEM FA20 DBW THROTTLE BODY. Up for sale is this Subaru factory OEM Top Feed Fuel Injector Rail Assembly. This unit was removed from 2012 Impreza STI model. Online research says this unit will fit 2010-14 Impreza STI models with 2.5L turbo engine. Body sections cut from a vehicles. No expedited. Most areas in the. Pick up at our facilities is available. Electrical parts. Parts not handled or installed properly. Parts installed on any vehicle with non factory applications. Up for sale is this Subaru factory OEM TGV (Tumble Generator Valve) assembly with TGV sensors and motors. 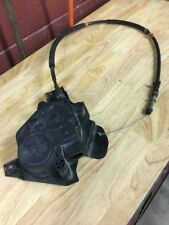 Subaru part number 14011AB373 left drivers side. 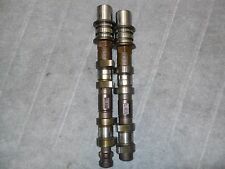 This is for top feed injectors. This unit was removed from 2006 Impreza WRX model. LKQ SKU: LKQ852 ~197365109 THB61029. This is NOT a manufacturer part number, and can be disregarded. We do our best to prevent these issues from happening and apologize for any inconvenience it may cause. Up for sale is a set of TopFeed port and polished TGV deletes, end holes sealed up and ready to go onto your Subaru! 2014-2017 Crosstrek 5MT, CVT. throttle body for the 2012 - 2017 Impreza 5MT ,CVT. It is the Genuine SUBARU and refurbished part ! Other Part Number : GENUINE. Cadillac CTS. Mini Cooper. Land Rover. 06-10 Subaru Forester Throttle Body Bolts. Removed from a 07 Subaru Forester, 2.5L, Auto Trans w/ 134k Miles. LEGACY 06-09 Throttle Valve Assembly, 2.5L, w/o turbo. FOREST 06-10 Throttle Valve Assembly, (2.5L), w/o turbo. 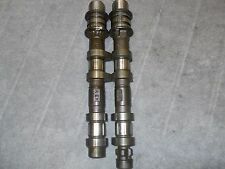 Up for sale is this Subaru factory OEM EJ205 WRX Camshaft (Left exhaust). This used cam was removed from 2002-2003 Impreza WRX model. Online research says this unit will fit all 2002-2005 Impreza WRX models with 2.0L turbo engine. Part Number: 16112AA380. 2013-2016 Subaru Crosstrek. Pulled From: 2015 Subaru Impreza. 2011-2016 Subaru FORESTER. 2012-2016 Subaru Impreza. Part: Throttle Body. No photos of the actual item are available. LKQ SKU: LKQ312 ~188017459 THB60987. We do our best to prevent these issues from happening and apologize for any inconvenience it may cause. Subaru Impreza 2005-2005 Throttle Valve Assm; 2.5L, exc. Up for sale is this Subaru factory OEM throttle body assembly with a Subaru part number of 16112AA010. This unit was removed from 2005 Legacy model. Online research says this unit will fit 2004 Baja, 2005 Forester X, XS, 2005 Impreza RS, Sedan, Wagon, Outback Sport Wagon, 2004-05 Legacy and 2005 Outback models. 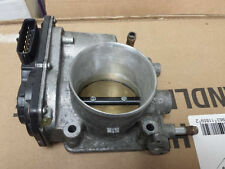 Up for sale is this Subaru factory OEM throttle body assembly with a Subaru part number of 16112AA180. This unit was removed from a 2008 LEGACY and a 2008 FORESTER model. Online research says this unit will fit 2006-08 Forester X and XS. Up for sale is this Subaru factory OEM throttle body assembly with a Subaru part number of 16114AB2809L. This unit was removed from 2004 Impreza Outback Sport model. This is the OEM throttle body as shown in the pictures. This THROTTLE BODY ASSEMBLY a 2002 SUBARU WRX IMPREZA. We'll work with you to get it resolved asap.